As a nutritionist, I’m often asked, “what is the most important piece of advice you can give me about nutrition?” Well, that’s a pretty broad question, and I’m a firm believer in individuality when it comes to nutritional requirements. 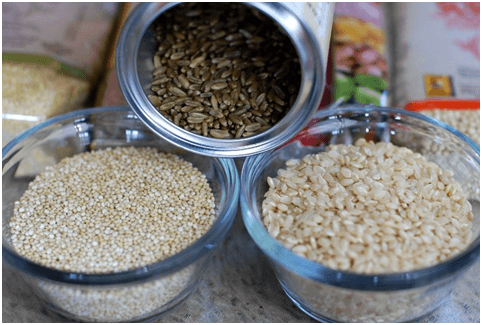 However, the more we learn about fiber, the more I believe this is one type of food that most everyone benefits from, whether you’re vegetarian, vegan, paleo, or omnivorous. And, based on the clients I see, most of us are not getting enough in our daily diet. In fact, by most estimates, the average American is consuming less than half the daily recommended amount. 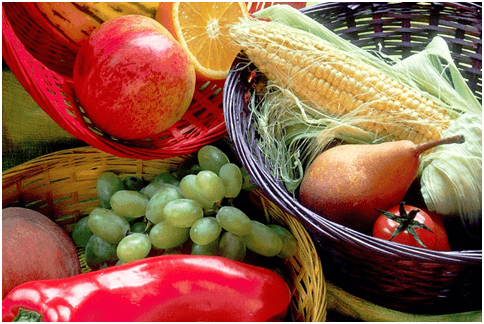 Fiber is the mostly indigestible portion of plants and is usually classified as soluble or insoluble. Most nutrients begin to be digested in the stomach and small intestine, but fiber remains pretty much intact until it reaches the large intestine. There it’s transformed by some of the more than 100 trillion bacteria living in our bodies. Soluble fiber turns excess water in the digestive tract to gel and slows it down, so it can be helpful in the prevention of diarrhea. Insoluble fiber adds bulk to the stool and helps it move through more quickly, preventing constipation. Doctors recommend fiber to prevent GI disorders like diverticulitis, and increasing fiber intake has been shown to reduce symptoms of irritable bowel syndrome (IBS) and inflammatory bowel disease (IBD). Most foods have some amount of both types of fiber, for example, beans generally have a ratio of about 1 gram of soluble to 3 grams of insoluble fiber. The easiest way to make sure you’re getting enough of both kinds is to eat a variety of fruits, vegetables, legumes, and healthy whole grains like quinoa and brown rice. Increasing dietary intake of fiber has been shown to promote weight loss, and reduce blood sugar, cholesterol levels, and blood pressure, thereby reducing the risk for type 2 diabetes, coronary heart disease and stroke. Some forms of fiber are prebiotics, which are fermented in the large intestine and help feed our healthy bacteria (probiotics). This process promotes the formation of B vitamins, Vitamin K and other nutrients, which support a healthy immune system. Prebiotic forms of fiber include leeks, asparagus, chicory, Jerusalem artichokes, garlic, onions, wheat, oats, and soybeans. The fermentation of prebiotics may help explain the theory that higher dietary fiber intake is associated with a lower risk for certain cancers, but the research is inconclusive. The Adequate Intake (AI) for fiber is 14 grams per 1000 calories, which translates to an average minimum goal of 25g per day for women and 36g per day for men. Apps like CRON-O-meter and My Fitness Pal can help you track your daily intake. A number of fiber supplements are also available, but obtaining your fiber from food sources allows you to benefit from the other nutrients found in fiber-rich foods. As I said at the beginning of this blog post, I believe in the concept of nutritional individuality. If you plan to increase your fiber intake, I recommend starting slowly, as a drastic increase all at once may lead to some GI unpleasantness. Give your body some time to adjust to the changes. If you have been diagnosed with IBS or small intestinal bacterial overgrowth (SIBO), I suggest working with a nutrition professional before adding more fiber to your diet because certain types of fiber can worsen your symptoms. My Healthy Potential also offers personalized health coaching to help you determine your specific fiber needs.